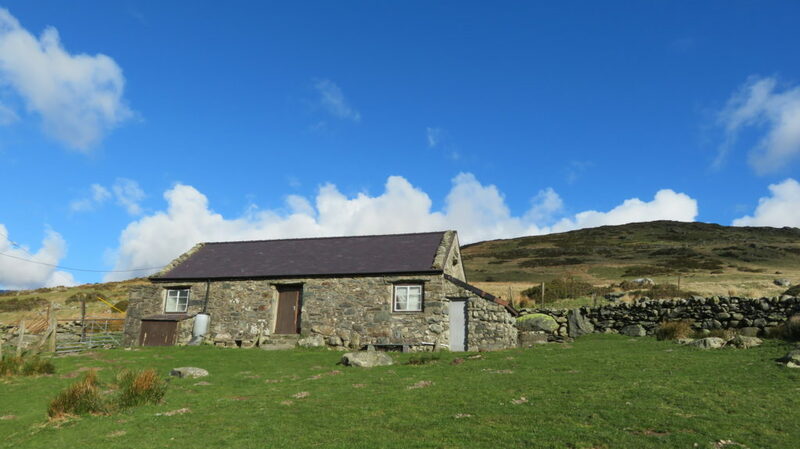 Last weekend we had a trip to the MCNW hut in North Wales. Always keen to try a hut we haven't stayed in previously. It proved a bit of a squeeze but we all fitted in. We were rather lucky with a Spring like Saturday and a more wintry feeling air on Sunday – but dry both days. 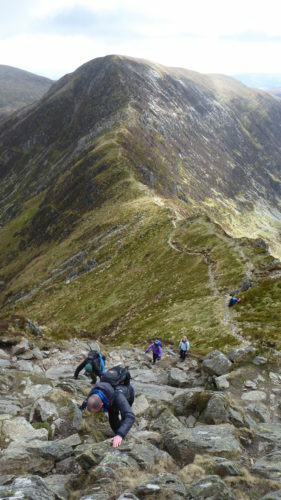 On Saturday Dave W, Karl and Russ went for a link-up of classic scrambles – Idwal Staircase / Cneiffon Arete and Dolmen Ridge. "Great and popular (well one other person doing the same) link up. About 700m of quality grade 2/3 scrambling. Karl practised the black arts of moving together on Cneiffon arete which was good. Clearly time spent rigging masts has not been wasted". 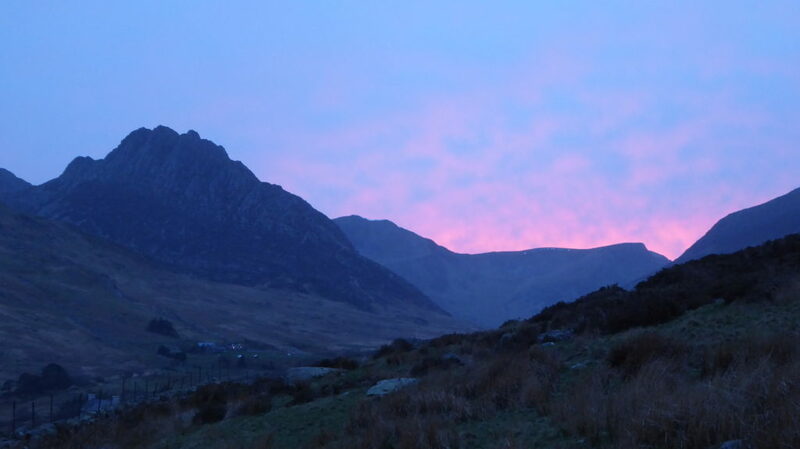 Simon & I walked from the hut to the East face of Tryfan. 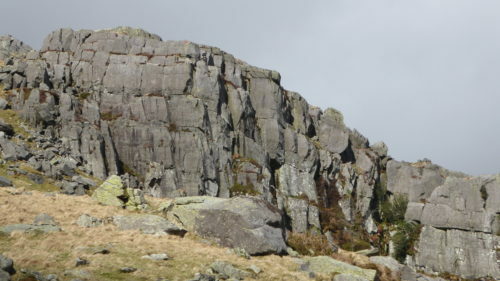 The planned climb (Grooved arete) was already busy, as was the first pinnacle ridge – so revised plan saw us climbing the second (first) pinnacle ridge. Simon led the highly polished yellow slab pitch which is somewhat out of keeping with the rest of the route. We finished off by climbing The Wall and then descended to Little Tryfan to do a couple of long easy pitches before trudging back to the hut. 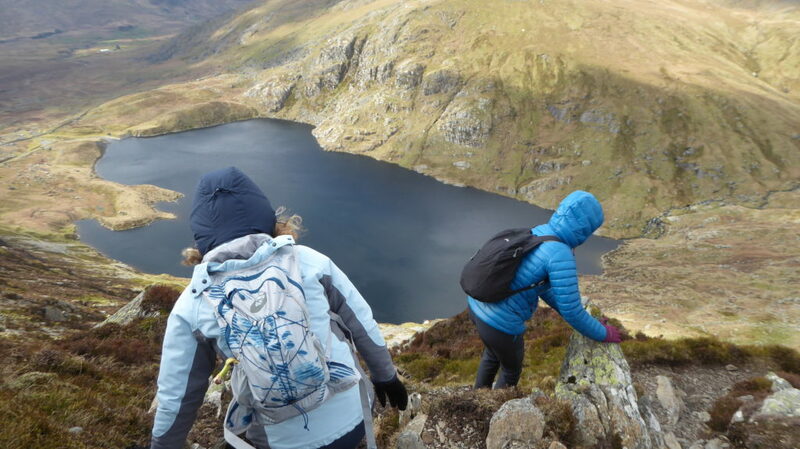 Jayne, Donal, Noemi, Ana and Emily went for a walk and scramble on Tryfan, over the Glyders and down via the Devils kitchen. Justine and Gav (Ordinary route) and Pete B and Adam (Hope and Lazarus) did a variety of routes on a not too busy Idwal slabs. Peter E met up with his brother and son and walked in to climb Amphitheatre Buttress. 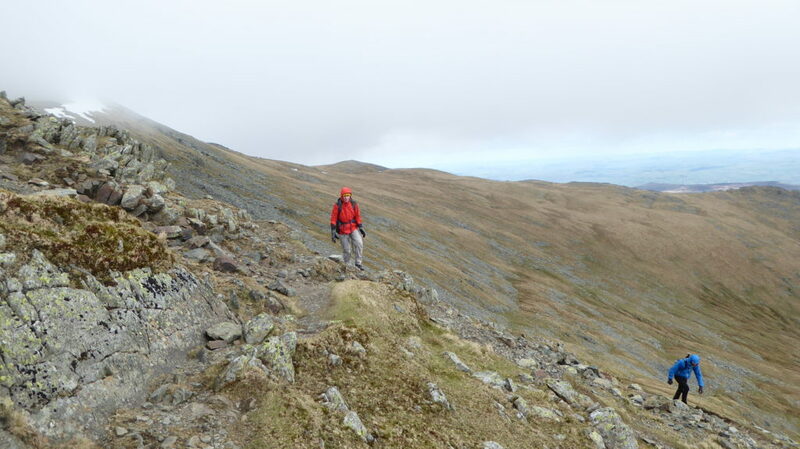 Unfortunately Peter's knee popped on the route and so he had a slow hobble back to the hut having been abandoned by his brother! Sat night saw us eating far too much food for a change – all very tasty. 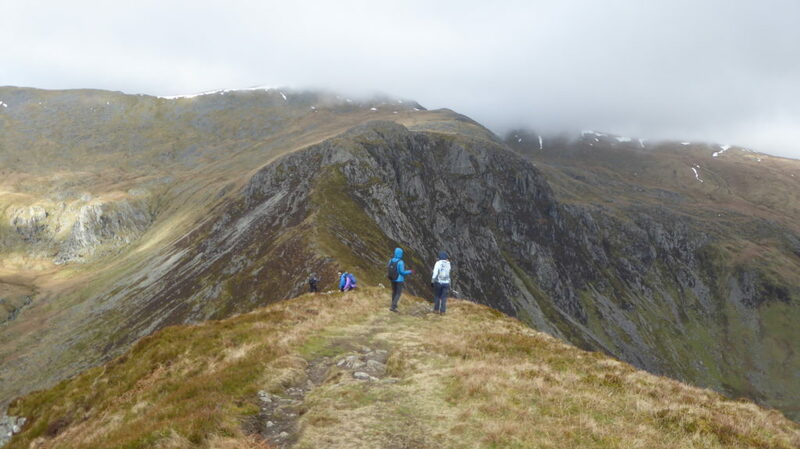 Given the cooler conditions on Sunday only Gav, Adam and Pete B braved climbing on Carreg Mianog doing a couple of VS's and a new route courtesy of Gav. Donal was heading off to do the Crib Lem spur scramble but low cloud and cold wind deterred him, but he still enjoyed the walk in. 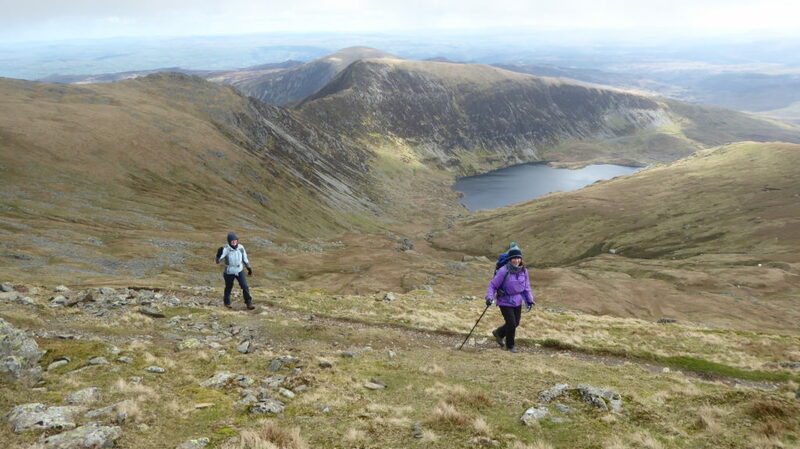 The majority of the rest of us went for a walk from the hut, taking in Pen yr Helgi Du and Carnedd Llwelyn before descending to get out the bitter wind. Simon & I detoured on the way back to look for Simon's microspikes he lost in February. Needless to say we didn't find them! Meanwhile Justine stayed behind to nurse her cold and Pete his knee. We were all back in plenty of time to finish off the leftovers, before completing the clean up & departing. Another good weekend. This entry was posted on Saturday, March 30th, 2019 at 5:08 pm	and is filed under Miscellaneous. You can follow any responses to this entry through the RSS 2.0 feed. You can leave a response, or trackback from your own site.